Will Obama Defend Iraq’s Gains? Israel headed for political gridlock on Wednesday after its election produced rival winners. Analysts said the country was as split as the Palestinians and the prospects of the two making peace were dimmer than ever. Centrist Tzipi Livni’s Kadima party won the most votes but had little chance of building enough support for a coalition. Right-winger Benjamin Netanyahu can get the support, but analysts said the likely coalition would prove dysfunctional. President Shimon Peres must now decide whether to call on Livni or Netanyahu, who then has 42 days to form a government. Israeli media said it seemed he would have no choice but to tap Netanyahu if the majority rightist parties all back him. But it would be the first time in Israel’s 60-year history that the winner of an election would be passed over. The results, not yet official, gave Netanyahu 27 seats in the 120-seat Knesset, while Livni’s Kadima won 28. She said she would be prime minister and invited Netanyahu to join a “unity government”. But Netanyahu said he would lead the “nationalist camp” in parliament, and control 64 seats. “With God’s help I will lead the next government,” Netanyahu, 59, told supporters of his Likud party. “Tzipi Livni has only the slightest chance, or none at all, of forming a government under her leadership,” said Abraham Diskin, a political scientist at Jerusalem’s Hebrew University. Avigdor Lieberman’s far-right, anti-Arab Yisrael Beiteinu party, now third largest, emerged as a potential kingmaker. “We want a nationalist government. We want a rightist government,” he said. A deal was needed as fast as possible because the state “has been paralysed for half a year”. “I voted to improve security,” one man told CBS News. The election is over in Israel and now a government has to be formed. But the election showed how muchmany Israelis now worry about Iran, Hezbollad and Hamas around them. This will make for a very difficult tals for thise seeking a lasting Middle east Paece. JERUSALEM – Inconclusive election results sent Israel into political limbo Wednesday with both Foreign Minister Tzipi Livni and hard-line leader Benjamin Netanyahu claiming victory and leaving the kingmaker role to a rising political hawk with an anti-Arab platform. Livni’s Kadima Party won 28 seats, just one more than Netanyahu’s Likud, in Tuesday’s election for the 120-member parliament, according to nearly complete results. With neither party winning a clear majority, neither can govern alone. Gains by right-wing parties give Netanyahu a better chance of forming a coalition with his natural allies. The results set the stage for what could be weeks of coalition negotiations. Israeli media reported the first meetings were scheduled for Wednesday. Such paralysis could dampen prospects for Egyptian-led attempts to broker a truce between Israel and Gaza’s Hamas rulers after Israel’s devastating offensive in Gaza last month. Hamas might be reluctant to sign a deal at the risk of having it overturned by the incoming coalition. Whatever government is forged, it is unlikely to move quickly toward peace talks with the Palestinians and instead could find itself on a collision course with President Barack Obama, who has said he’s making a Mideast peace deal a priority. It’s up to Israeli President Shimon Peres to decide whether Livni or Netanyahu should have the first shot at forming a government. Peres will meet with party leaders to hear their recommendations, and then has a week to make up his mind. However, the final word may be up to ultranationalist Avigdor Lieberman, a former Netanyahu protege and perhaps Israel’s most divisive politician, whose rightist Yisrael Beiteinu gained four seats in the election to hold 15. Several hours after polls closed, Livni and Netanyahu staged rival victory rallies. Not happy that President Obama didn’t make more of the election in Iraq? There has been nothing like this election in the mostly Muslim Iraq in 40 plus years…. Failing to declare this election a major victory in the war being waged against us by radical Islam is a mistake. Obama could have mentioned the Iraqi elections in his “first formal television interview” — given on Monday to Hisham Melhem of Saudi-owned, Dubai-based, Al-Arabiya, satellite network. Regrettably, he never mentioned it. Some will say it isn’t fair to make our new commander in chief stick to the facts. That’s the trouble with television interviews. They are on tape and stay around for years. If you are going to do them, it helps to know the facts. Let’s see, 30 years ago — 1979 — the year that Ayatollah Khomeini returned to Iran, the “Islamic Revolution” was proclaimed, the U.S. was first described as “the Great Satan,” our embassy in Tehran was sacked and 53 Americans were held hostage for 444 days. That’s probably not the kind of “respect” Mr. Obama had in mind. How about 20 years ago — 1989: While investigators were still combing the wreckage of PanAm flight 103, in Lockerbie, Scotland, Libyan dictator Muammar Ghadafi sent MiG-23s to attack a U.S. Navy Carrier Battle Group in the Mediterranean. Final score: U.S. Navy 2, Libya 0. Ayatollah Khomeini issued a fatwa to kill Salman Rushdie. 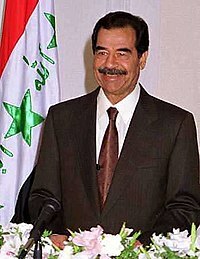 Islamic radicals murdered the President of Lebanon and Saddam Hussein issued mobilization orders in preparation for invading Kuwait the following August. “Mac is back!” one of his devoted friends in the Senate declared as McCain walked into the chamber Wednesday to deliver his first speech of the 111th Congress: a blunt admonishment of Republicans delaying Hillary Rodham Clinton’s confirmation as secretary of state.